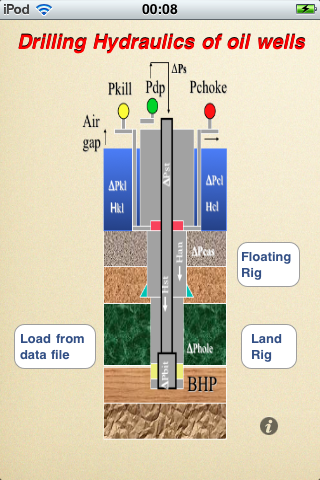 Learn more, read reviews, and download Drilling Hydraulics by Cafm on the iTunes App Store. The Drilling Hydraulics provides the driller, tool pushers, engineers, chemists, students and other professionals in the petroleum industry a productivity tool helpful in drilling of oil wells for hydraulics calculations, optimization of the penetration rate and can help on the decision on selection of bit nozzles. 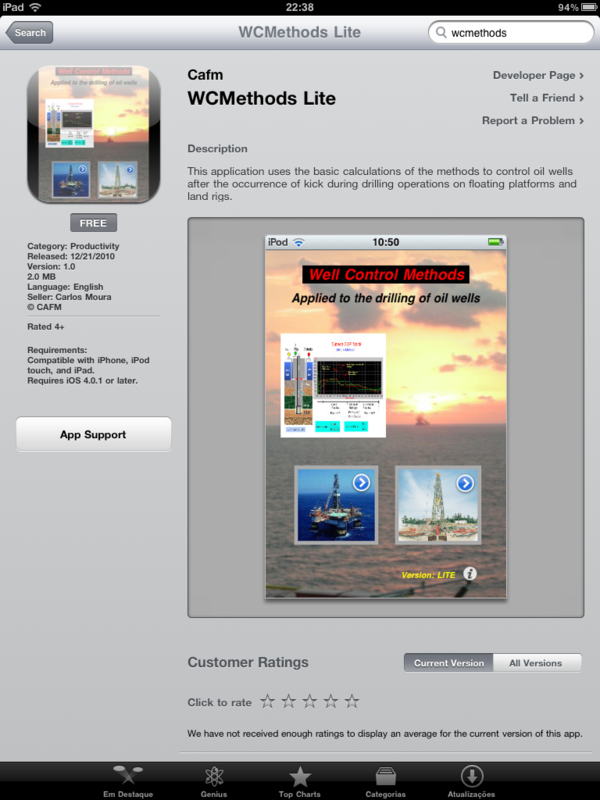 Already available in the App Store an application that I developed for the study and application in the field of well control methods named “WCMethods. The lite version is fully functional for a well pre-configured, allowing only change the parameters of the kick and the system of units. The FULL version is now also available, which allows the user to configure the parameters of the well, drill string, bit, fluid, mud pump, beyond the parameters of the kick, the system of units and save data. It is can be applied in the field of petroleum and also help in understanding the methods of well control. Learn more, read reviews, and download WCMethods Full by Cafm on the iTunes App Store. Learn more, read reviews, and download WCMethods Lite by Cafm on the iTunes App Store.